The Metropolitan Naga Water District (MNWD) through the joint effort with the Rotary Club of Naga donated school supplies to the pupils of the Rotary Village Corps Elementary School on July 18, 2018 at Barangay Del Rosario, Pili, Camarines Sur. Dubbed as “Pisara, Papel at Pluma Para sa Eskwela” the event is a part of the school assistance program of the Rotary Club of Naga complementary with the MNWD’s Corporate Social Responsibility (CSR) Program to Support Brigada Eskwela. 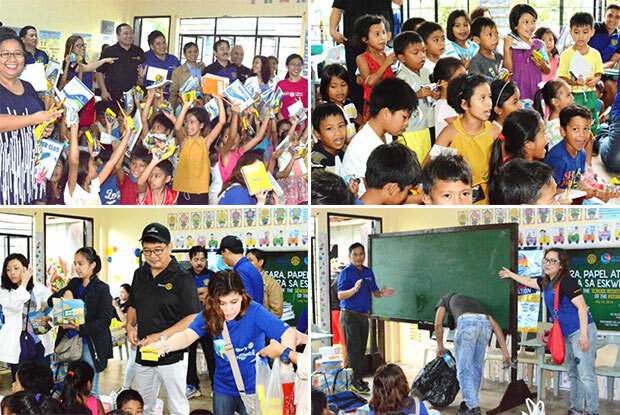 The activity was made possible through the collaboration of the MNWD with the Club Officers headed by Ana Marie Delloro, President and Agileo Michael Pauig, Project Chairperson and MNWD Board Member who were present during the distribution of the school supplies together with their fellow Rotarians and representatives from the water district led by Vicente Aniceto Rubio. Despite the gloomy weather, the group received a warm welcome from the pupils, teachers, and school officials of the RVC Elementary School who were also excited to share the developments and other projects necessary to make the school more conducive to learning. Further, the club assured that they will look into providing computer sets and improving the facility of the school relative to sanitation and hygiene.